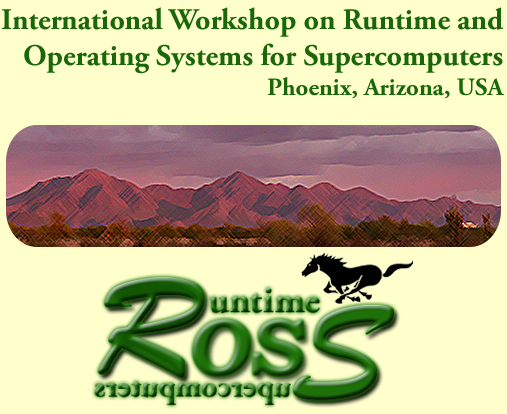 The ROSS workshop, to be held as a full-day meeting at the HPDC 2019 conference in Phoenix, Arizona, USA, focuses on principles and techniques to design, implement, optimize, or operate runtime and operating systems for supercomputers and massively parallel machines. ROSS provides a timely and lightweight forum for scientists and engineers to present the latest ideas and findings in this rapidly changing field. In addition to typical workshop publications, we encourage novel and possibly immature ideas, provided that they are interesting and on-topic. Well argued position papers are also welcome.